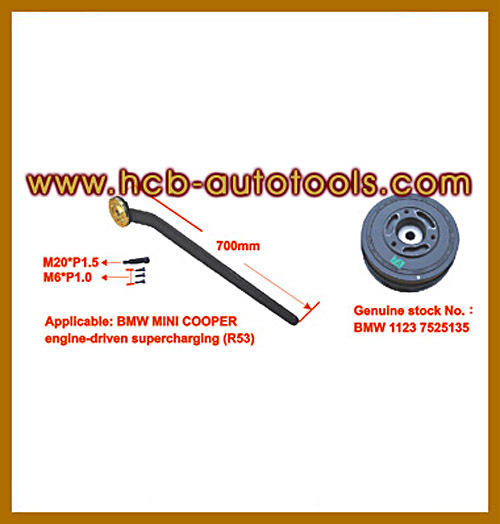 H.C.B-A1087 BMW (E36/E46/E85) REAR AXLES BUSH REMOVAL/INSTALLATION TOOL KIT USA PAT. *Use H.C.B-A1198 to release the center bolt. *Remove BMW MINI COOPER pulley extractor from A1198 and then tighten the bolt. *Tighten the screw and extract the pulley by wrench.